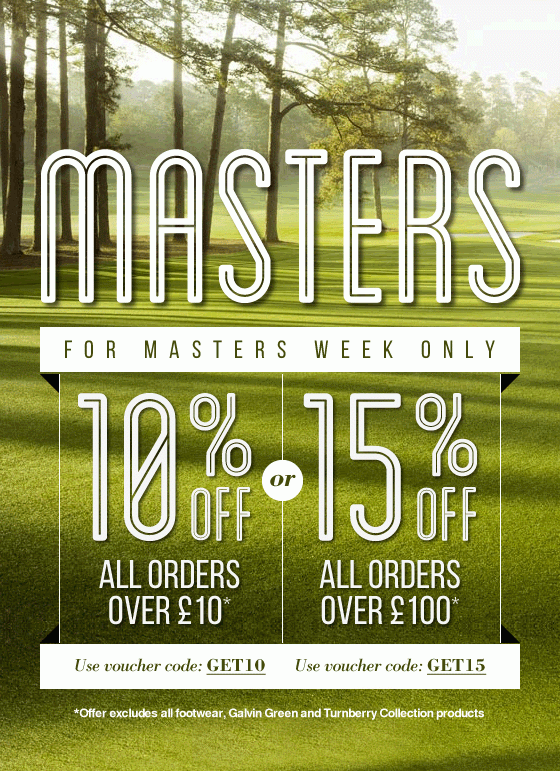 Online golf clothing store Function 18 has today announced the launch of their anticipated Masters promotion. With 10% off all orders over £10 and 15% off all orders over £100, now is the perfect time to stock up on your golf clothing & accessories in time for the summer season. The promotion is available across all major golf brands available online at Function18 including Oscar Jacobson, Nike Golf, Puma Golf, Adidas Golf and Hugo Boss, and will run throughout the Masters tournament until Sunday 13th April.